This is a guide to introduce the easiest way to clear Faith Trial. Before you start, I want to briefly introduce each role in FFXIV. Here I'll describe each role and how they fit into the big picture. Healers: Hears should run in front of the main dragon to make adds run straight to that point, which can make the adds get in range of the canons faster. While the tanks should still be picking them up as they are able to. Healer should focus on keeping the tank alive during battle since everyone else can just revive at start and take the shortcut back. Tanks: Tank can split the adds one picking up left side, the other gets right side. One of the tanks can also pick up the large add. Drag them in front of the large dragon so that canons can hit them once the adds are picked up. The main dragon can't be tanked. Canons: Canons can do in two way. One is a single heal burn strat which puts a healer in the place of one of the DPS, the other is just put two lowest geared DPS on them. There are 3 ammo types of Canons, respectively Iron kiss, Spindly Fingers and Pitch Bomb. Iron Kiss is the primary damage ammo, Spindly Finger is an interrupt, and Pitch Bomb i aground AoE slow with a 2-3 shot limit per canon. The main job of canons is to drop a Pitch Bomb to slow progression and unload Iron Kiss on the main dragon at the same time. Dragonkiller: Dragonkiller can either be a DPS or a healer, which is up to who is on canons. If one runs the 1 healer 1 DPS options on canons, one of the DPS not on canon will do this, or one of the healer will do. There is a tower on one side of the bridge. 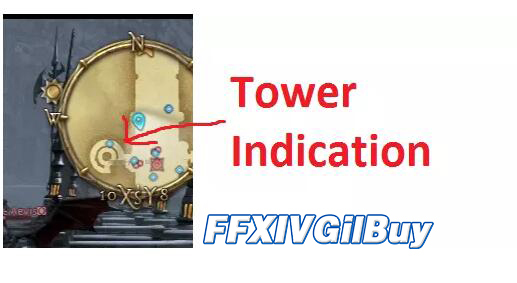 When a red circle appears, don’t be confused with the AoE attack markers, the tower person will head to the tower and wait for Snares to activate. Keep in mind that the very first tower don’t have snares. 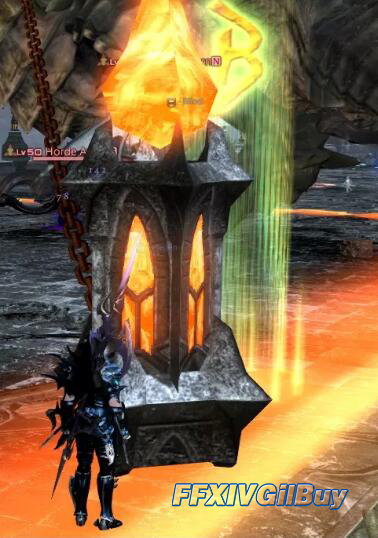 Just fire the device when Vishap reaches the red circle to deal with the first tower. Fire the device once Vishap is snared to deal with the other two towers. Snares: Canon team uses this mechanic. A bridge-wide frontal attack when Vishap uses Landwaster, the canon team activates the orange pillars next to their canon. This interrupts Vishap and snares him for the dragonkiller. DPS: The DPS not on canons are on AoE spam. All AoE should be targeted at Vishap to ensure you can easily swap into your rotation between add spawns. Canon DPS can help during ward breaks after the second set of canons in each section goes down. Vishap will use Body Slam on the barrier four times, use this time to help damage it. It is no need to worry about in this fight. Whichever tank is holding this add needs to stun this move. No other stuns should ever be used on it, because it builds resistance very quickly. The last thing to note is that don’t stand under Vishap’s feet while it is walking. If get hit, underfoot deals lots of damage and knocks you back. Don't go for flanking bonuses unless Vishap has stopped walking. If you want to buy cheap FFXIV Gil, FFXIVGilBuy provides huge stock of FFXIV Gil with instant delivery and 24/7 live chat service.